In the agreement, GTX Corp will make available its popular GPS Tracking apps on Samsung’s bada operating system. 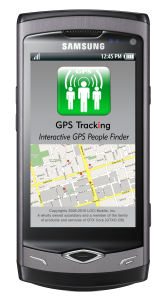 The GPS Tracking apps will be featured for sale October 2010 in Samsung’s Application Store. Of the 40 million Samsung handsets anticipated to ship between now and mid-2011, 15-20 million will be the new “Scotia” models. Samsung, the world’s second largest mobile phone manufacturer, launched its own open mobile platform, Samsung bada, in December 2009. Samsung’s mobile 235 million unit ecosystem enables developers to create applications for millions of new bada platform mobile phones. Samsung chose the name “bada”—which means “ocean” in Korean—to convey the limitless variety of potential applications that can be created with bada. GTX Corp’s announcement follows on an 89% increase in its previous quarter’s revenues in addition to a number of software and hardware deals, including the launch of its consumer social networking portal www.gpstrackingapps.com. The company also posted its GPS Tracking app for the iPad and is launching a GPS camera app this month to its suite of LOCiMOBILE GPS apps.